Pappas Bros. Steakhouse. Photo by Kevin Marple. Treat your dad to a nice meal. He deserves it. What: Prime Rib, 16 ounces for $45, 20 ounces for $55; The Double Eagle Steak, a three-inch thick, 45-day dry aged double bone in prime ribeye for $125. Full menu also available. 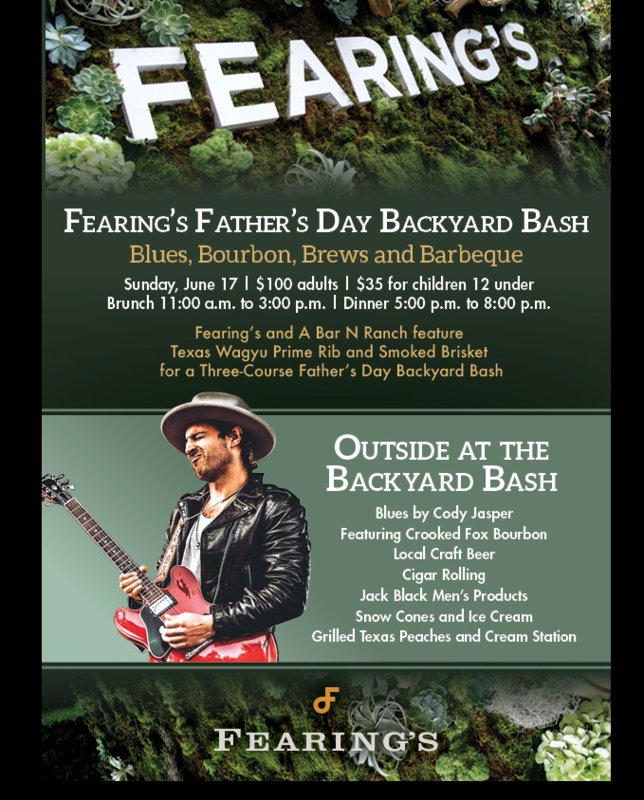 What: Fleming’s is opening early, at 10 a.m., on Father’s Day, and offering a three-course brunch menu. Also June 15 through 17, the restaurant is offering a three-course menu featuring a 35 ounce Prime Tomahawk and a premium bourbon tasting. What: Both locations open for brunch and dinner. Brunch is 10 a.m. until 2:30 p.m. and dinner is 5 p.m. until 9 p.m. Tons of steak options. What: Brunch buffet at all locations from 9 a.m. until 3 p.m. for $22. What: The featured entrée, June 15 through June 17, is shrimp brochettes or hand-cut blackened ribeye. The restaurant is also offering drink specials during brunch. 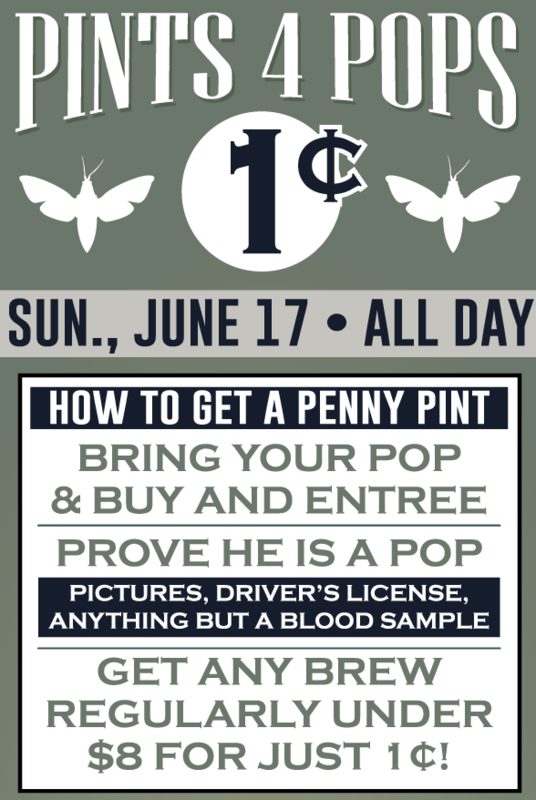 What: Special menu available on June 17 from 4 p.m. until 8 p.m. Specials include a 19 ounce prime bone-in ribeye and Surf and Turf for $45. Live entertainment by David Slater from 4:30 p.m. until 7:30 p.m.
What: Specials for brunch and dinner on Saturday, June 16 and Sunday, June 17. The restaurant will serve Filet Oscar for $39, along with its three-course Prime Rib Special for $34 per person. What: Father’s Day specials available from Monday, June 11 to Sunday, June 17. There’s a 35 ounce tomahawk steak paired with truffle mac and cheese and grilled asparagus for $35. The special also includes a 20-point game card. Available at all locations. 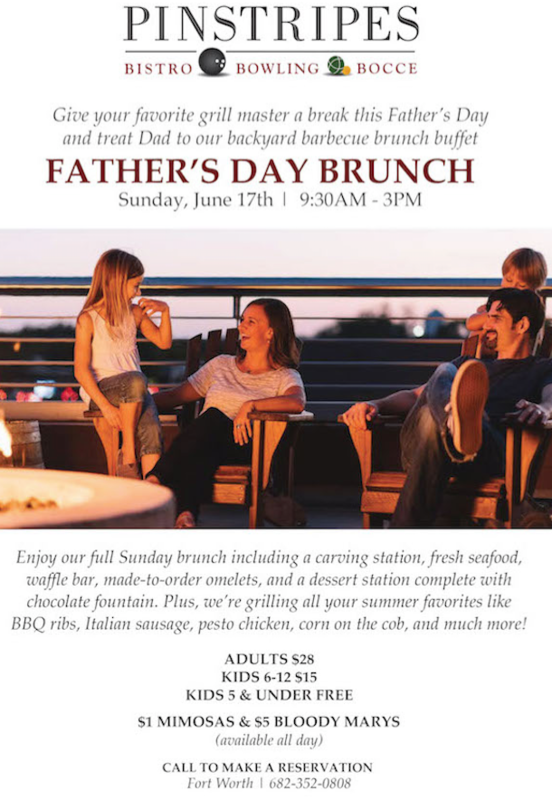 What: On Sunday, June 17 from 11 a.m. to 3 p.m., dads that dine during brunch will receive a free entrée with purchase of another adult entrée. 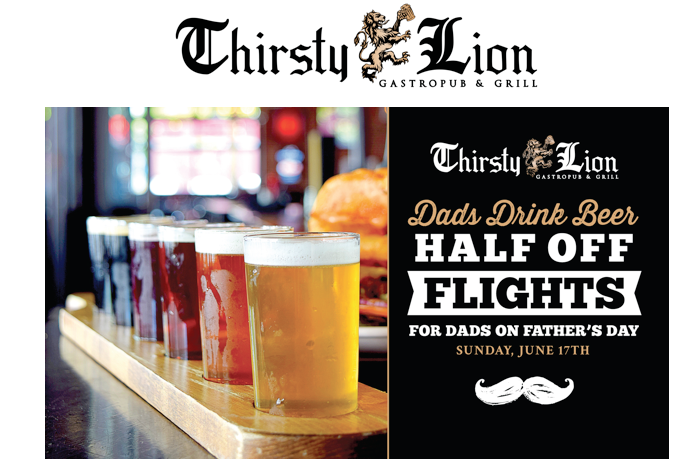 Additionally, all dads get a complimentary draft beer with any entrée throughout brunch, lunch or dinner. What: A 16 ounce T-bone with blackened shrimp, mashed potatoes and sautéed vegetables will be available all day for $32. What: Early celebration on Friday, June 15. A wine tasting of 12 different Cabernets from all throughout the world. RSVP here. What: Half-priced Texas Wagyu strip steak. So, steak and a side for $29.75. What: Brunch that offers a bacon and whiskey flight ($25), 44 Farms dry-aged New York strip ($45), Manmosa made with whiskey, beer, and splash of orange juice. What: A 16 ounce 45-day dry aged bone-out Strip available for $59 on Sunday, June 17 at Dallas, Fort Worth, Plano and Southlake and The Woodlands locations.